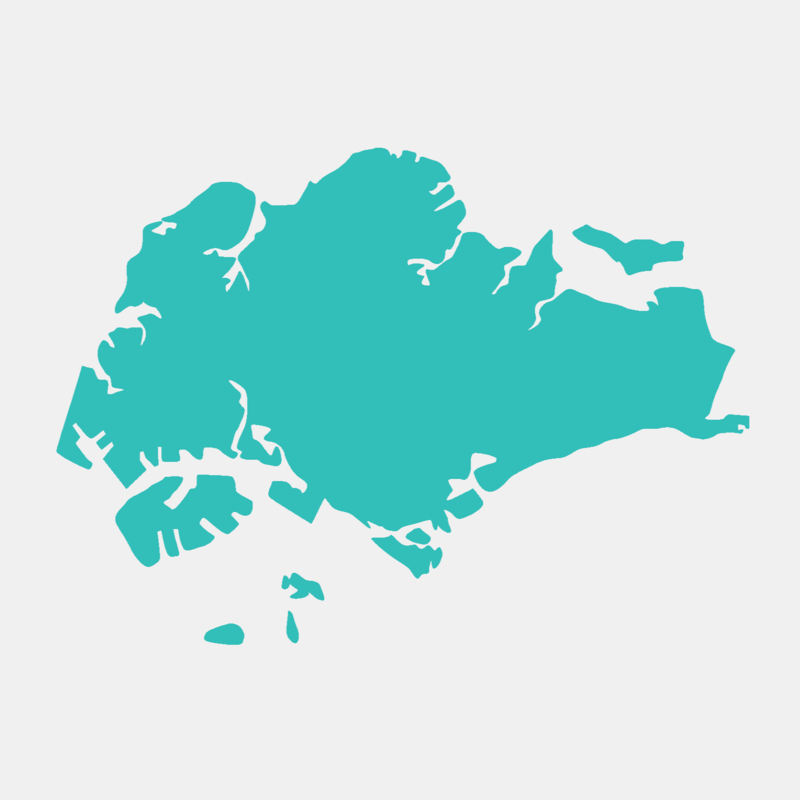 For such a bite-sized country, Singapore does some pretty big things. Occupying a tiny part of the southern tip of the Malaysian Peninsula, it is home to some of the most awe-inspiring architecture on the planet. Here, at the aptly named Supertree Grove at Gardens by the Bay, I gaze up at a 16-storey artificial tree with my jaw dropped open. Next to it, I feel like an ant, scuttling around on the forest floor looking for my nest. A stone‘s throw away is the impressive and already iconic Marina Bay Sands Hotel, which opened in 2010. Its sloping towers, unified atop by a boat-shaped infinity pool on the 57th floor, bring to mind the set of a science fiction ﬁlm: one where humanity has decided to focus on building impressive superhuman toys. But Singapore is not only about contemporary design, which it displays in abundance. With its exotic bursts of Indian, Malay and Chinese influences, it boasts a rich and colourful past, proudly represented in its architecture and in the faces of its people. Gardens by the Bay is, however, in a dimension of its own. Situated in Marina Bay, near Singapore‘s financial district, its towering ‘supertrees’, along with the egg-shaped Flower Dome and ethereal Cloud Forest conservatories, provide a soothing horticultural contrast to the megalithic facades of the banking and financial centre. 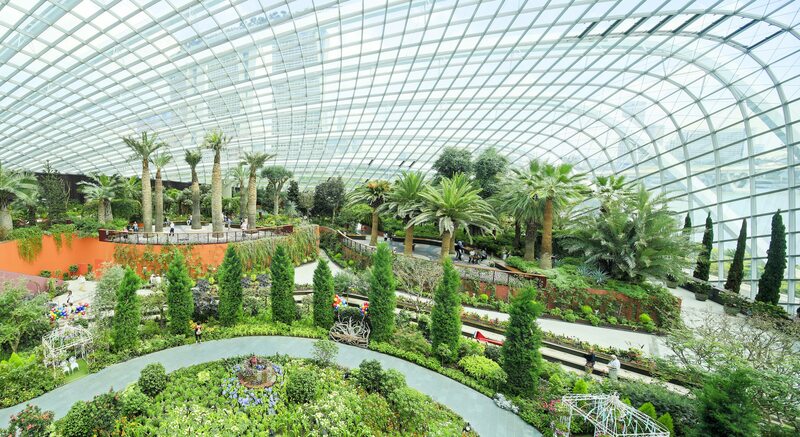 Gardens by the Bay is the brainchild of the National Parks Board of Singapore (NParks), which wanted to transform Singapore from a ‘garden city’ into a ‘city in a garden’. This is a natural progression for an island nation that already has more than 50 per cent of its land area covered in greenery. NParks set up an international design competition with this brief in 2006. Grant Associates in the United Kingdom won the competition, beating more than 70 entries from 24 countries around the world. What they proposed was a fusion of technological and botanical wonder, combining cutting-edge design with the soft contours and colours of a tropical Asian jungle. This can be readily seen in Bay South, where the aforementioned supertrees can be found. These are giant metal structures that umbrella up to the heavens. Embedded in the steel framework of each tree — ranging from 25 to 50 metres in height — are myriad exotic plants of every shape and size. As our eyes snake up these steel trunks, we start to pick out ancient species of ferns, delicate orchids, creeping vines, all creating one massive vertical garden. Twice a night the trees are illuminated by a spectacular light show that heightens the visual drama of the metal structures. The Flower Dome houses exotic plants from Australia, South Africa, Spain and ltaly, replicating a cool and dry environment and educating the public on how these plants survive in desert-like environments. Food-producing plants feature heavily in this conservatory, which highlights our dependence on nature for sustenance. There are fig trees, cork oak, aloes, palm trees, coral-shaped succulents and a whole section dedicated to baobabs from around the world. What interests me most is that it’s not just the allure of exoticism at work here. These plants from around are no longer just images on the internet, or in the news when issues of global warming are discussed. They are tangible. They are real. They can be smelled and touched. In the Mediterranean Garden, I have my first encounter with the cork oak, and l learn that with the introduction of rubber corks for wine battles, the cork oak’s significance and conservation is in danger of being overlooked. As a wine drinker, I never considered that the little rubber cork that has made my life that little bit more convenient has had an impact on a species of trees. The Cloud Forest conservatory is, in its own unique way, equally impressive. Upon entering, we are instantly greeted with a 30-metre waterfall set against the backdrop of Cloud Mountain, packed with lush ferns, soft moss and exotic orchids. Ascending to the seventh floor on the Cloud Walk, we can see a variety of carnivorous plants such as the Venus flytrap or the Southeast Asian pitcher plant. Cloud forests are a threatened ecosystem, only found in tropical mountain regions at 1500 to 3000 metres above sea level in Africa, South America, Malaysia and the Philippines. The forests function by stripping moisture from clouds, providing water for surrounding ecosystems, as well as nearby towns and villages. Gardens by the Bay is awe-inspiring, exhilarating and thought provoking. Sceptics of this artiﬁcial garden will raise issues of sustainability and conservation, such as water and electricity usage for this manmade garden, as well as the maintenance of foreign climates in its conservatories. However, NParks has thought about that. Just as in nature, the components of Gardens by the Bay live symbiotically to sustain one another’s needs. The supertree captures solar energy, as its canopies are fitted with solar cells, which convert light directly into electricity. It uses this self-harnessed energy to power the light shows at night, leaving little dependency on Singapore’s electricity grid. 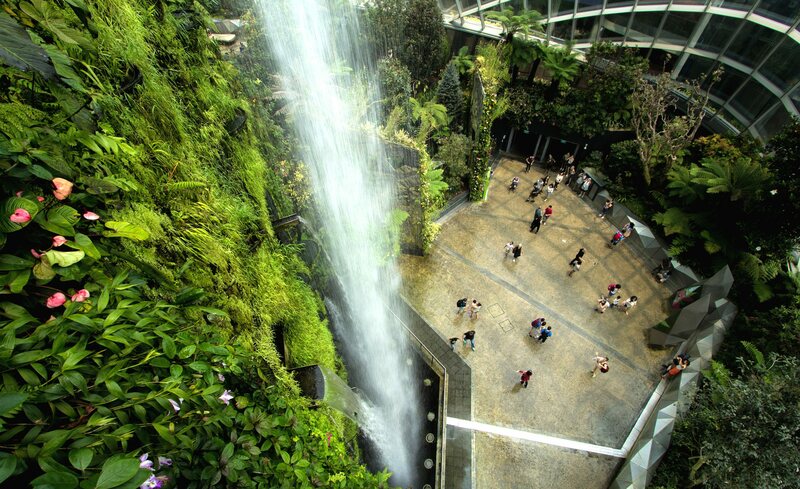 The canopies also capture rainwater used for irrigation, as well as trapping the waste heat emitted from the Flower Dome and Cloud Forest conservatories. 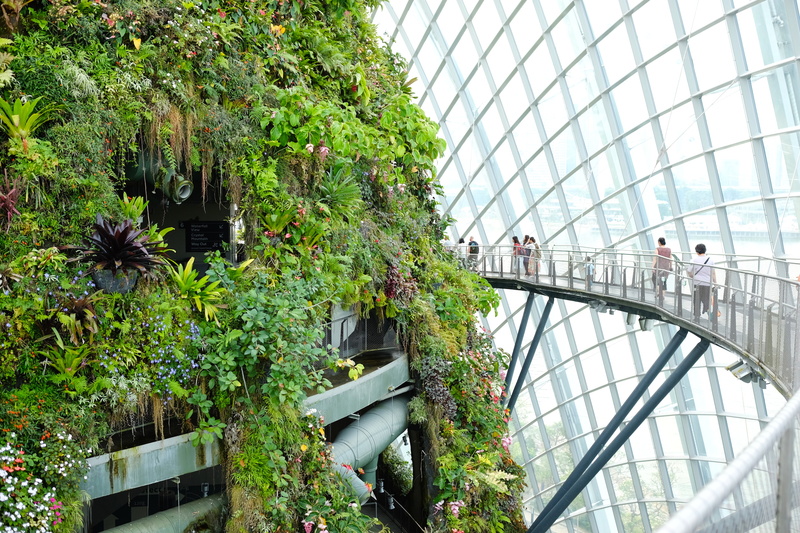 Admittedly, these cooled conservatories require energy to run, but the cooling system employed by Gardens by the Bay is sustainable and 30 per cent more efficient than conventional cooling methods. They use a series of underground water pipes that cool only the zones that are occupied. In addition, the waste heat is used to regenerate the desiccant which is used to dehumidify the air to make the cooling process quicker and more efficient. 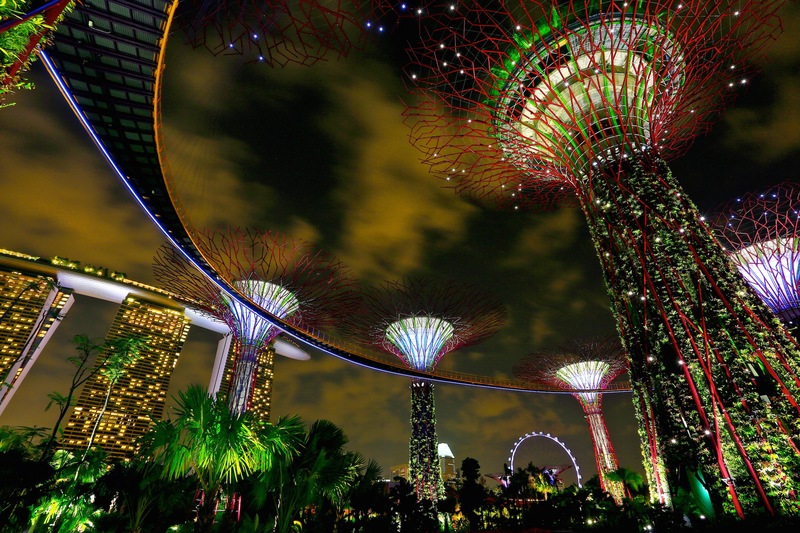 The idea of fusing technology with plants seems unnatural, but perhaps Supertree Grove really is the future of nature. We have long lived with science fiction ideas of cyborgs and robots. Some of this is already a reality: electronic hearing aids, mechanical hearts, mechanised prosthetic limbs, iPhones and iPads that are practically fused to our hands. We could argue that it is ‘only natural’ to adapt nature to our technological lives — just as we have made technology a natural part of ours.